Connecticut is in a battle with CVS over a discount drug program. 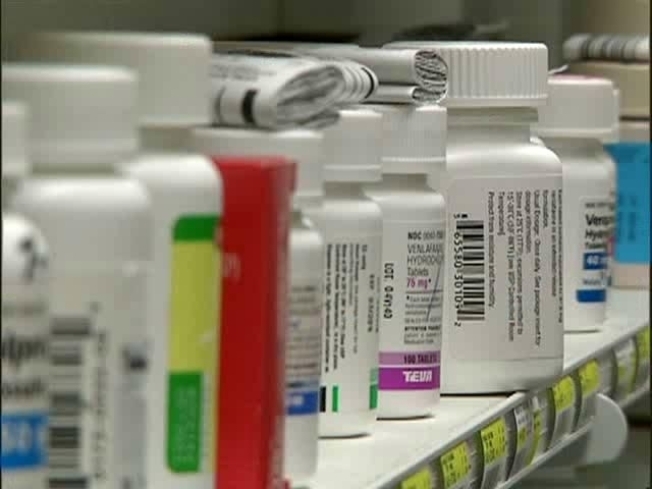 The state of Connecticut is in a battle with CVS over discounted drugs for Connecticut residents. Gov. M. Jodi Rell recently asked Attorney General Richard Blumenthal to review a CVS’ proposed policy change that could result in the cancelation of its Health Savings Pass pharmacy discount program. Those with a CVS/pharmacy Health Savings Pass pay a $10 annual enrollment fee can fill a 90-day prescription for one of more than 400 common generic maintenance medications that treat conditions like diabetes, high blood pressure and high cholesterol for $9.99 at their local CVS/pharmacy. CVS Caremark has threatened to end its pharmacy discount program because law requires the chain to extend the same discounts to the state’s Medicaid program, Attorney General Richard Blumenthal said. Now, Blumenthal is investigating and wants answers from the Rhode Island-based company. “We are concerned that you have singled out the state of Connecticut for elimination of the drug discount program considering that the Health Savings Pass program continues to operate in other states where CVS Caremark does business.” Blumenthal said in a letter to CVS Caremark CEO Thomas M. Ryan. CVS officials said the company will cooperate with the investigation. Blumenthal said state law requires pharmacies to charge Medicaid the lowest drug price they offer consumers, which the state says obligates CVS to provide the Health Savings Pass discount, potentially saving taxpayers millions of dollars. Rell said she was concerned and thought it might be a violation. "“I am deeply concerned that with this change there would be a potential violation of the law and a costly loss of discounts for Connecticut consumers,” Rell said. “The new law is simply an exercise in fairness – making sure that patients on the taxpayer-funded Medicaid program get the same relief from high drug prices that other customers receive. Yet it appears CVS Caremark may decide to forgo all prescription drug discounts for its entire customer base in Connecticut in order to avoid billing Medicaid the reduced rate. CVS disagreed, Blumenthal said, so the General Assembly approved a law clarifying the requirement and CVS responded by threatening to end its discount program in Connecticut. Blumenthal also said that customers pays a enrollment fee and the company is obligated to those contracts with customers. CVS issued a statement on Wednesday saying that the program was primarily developed for uninsured and underinsured individuals to access certain medications through a membership program. “We recently informed the state of Connecticut that we would consider discontinuing the Health Savings Pass program in Connecticut if the state continued in its demand for access to Health Savings Pass pricing for the state's Medicaid program. The state's actions would alter the intent of this program and make it economically unfeasible to continue,” CVS said in a statement. CVS said they are hopeful that the matter can be resolved on terms that permit the company to continue to offer the program in Connecticut.